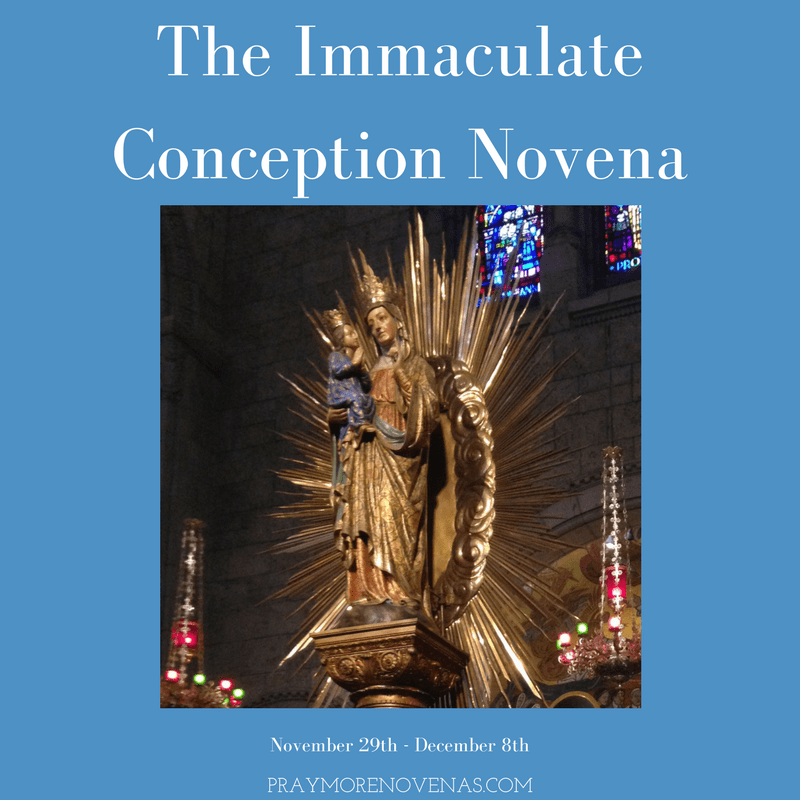 Here’s Day 7 of The Immaculate Conception Novena! Get help with depression and meth addiction. I ask you to please intercede that I can have the strength, endurance and yiurvenlightment to see the truth , working with difficult people and challenging situations. Please help nd to make the right drcisions. Also I pray to help me find the right resoursces and make appropriate decisions to resolve my economic situations, which has been impacted negatively. Thank you dear Holy Mary and Jesus! Dearest Mother Mary, i pray for my son and i. Intercede for us in our studies. Pray to our Lord, your Son to heal us and our family spiritually, emotionally and physically. May we all be together this Christmas if it be The Will of God. Amen. I place in your hands my son’s future and that today’s meeting whth his coach goes well. Please grand be the strength and courage to work evey day with difficult people and situations. Please help me to problem solve and clear a negative mark on my financial record for this situation must be cleared. Please intercede and accept my prayers to get the courage, strength and enlightmement to work with difficult people and challenging situations every day. For, I need to continue in this job to help support my kids education and wellbeing and because I truly love my job and profession. I place my financial challenges in your hands . Please help me to resolve and clear this matter that is impacting negativekt my record. Dearest Immaculate Mary, please ask your Beloved Son, Jesus, to heal my family and I. Please heal us Spiritually, mentally, physically and emotionally. Thank you Blessed Mother and Sacred Jesus. Holy Mary intercede and accept my prayers. I pray that my son gets an A Grade in last week and this week’s exams. That he is successful in all classes and study material this year and gets accepted into their medical school to do MD and become doctor soon. For his scalp to heal. To be blessed with a good Christian, praying, bible knowing girl as his wife. I pray for my mother that she is blessed with good health and her colon is healed and is blessed with all necessities of this life. I ask to help my son to have a successful meeting with his soccer coach today and that his wishes will be granted. So he can get playing time and a scholarship soon. I also ask you to help me complete my work accordingly and to enlighten me to be able to work with challenging people and situations every day. Please help to find resources and best ways to resolve a pending financial matter that is impacting adversely my record. This situation was supposed to have been resolved already, but is it isn’t Help me to clear my records this time permanently. I thank you and your Son for all your graces and for always holding me strong in my faith, spirit and physically. I ask you please pray for my son to give him the courage to self-advocate. Please enlighten him during today’s meeting with his coach and that he is granted playing time and a scholarship this coming school year. He has worked hard, patiently and for a long time to meet his academic , soccer and career goals in college. I also also ask you to please grant me the strength and serenity to continue striving in my work and get through during trying times. Help me to see the truth and best in my team members. Please guide us to collaborate in a cohesive and compassionate manner, to have fluid communication, and trust one another throughout each day, particularly with the most difficult cases. Please let us deliver and execute the best outcomes for everyone with the grace of our Lord. I place in your son’s hands my financial difficulties and to help me find the resources and best manner to resolve current and past problems and to be able to clear my record successfully. I thank you so much Dear Jesus and Holy Mother for all your help and for holding me strong and keeping the faith always! Blessed Mother I pray for my Mom and all my siblings that you in your tender mercy would intercede and pray and ask Jesus to pray and intercede and ask Our Heavenly Father to grant us all his mercies and blessings. I pray for a financial breakthrough for this family. For a Spritual breakthrough and a God fearing breakthrough through Your Motherly intercession. Thank you Blessed Mother. Amen.